Research into farm animal genetics, development, welfare and infectious diseases will be able to go ahead, thanks to a £29.3 million grant awarded to the Roslin Institute in Edinburgh, from the Biotechnology and Biological Sciences Research Council. On April 11, Greg Clark Secretary of State for Business, Energy and Industrial Strategy announced the award. This is part of the £319 million Biotechnology and Biological Sciences Research Council (BBSRC) new investment to support 16 programmes of research at the National Institutes of Bioscience over the next five years. The awards follow a robust, independent and international peer-review process. “We are delighted that all of our strategic research programmes are being funded. The BBSRC’s support highlights the quality and strategic relevance of our work in farm animal genetics, development, welfare and infectious diseases,” said Professor Bruce Whitelaw, Interim Director of The Roslin Institute. “This award will sustain our key role in delivering the UK’s Agri-Tech strategy and tackling global challenges such as food security by unlocking the genetic potential of farmed animals and reducing the burden of diseases to improve animal productivity, health and welfare,” he added. The aim of this programme is to define how the sequence, regulation and products of genes determine the development and function of body systems throughout life. Researchers at The Roslin Institute are particularly interested in understanding the development and function of the haematopoietic, gastrointestinal, musculoskeletal, cardiovascular, nervous and genitourinary systems of key production animals (poultry, pigs, cattle and sheep), as well as of relevant breeds in low- and middle-income countries to improve farm animal production and enhance societal and economic prosperity. The data generated by this programme will be used to produce richly annotated reference genomes and computational tools that will advance our understanding of animal development and life-long health, as well as enable the livestock sector to improve animal productivity, without compromising health and welfare. 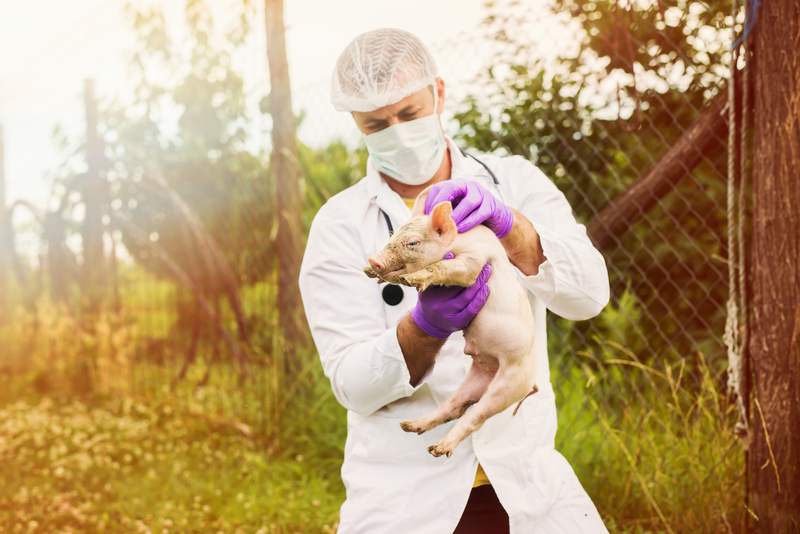 This programme of research will investigate infectious agents in farmed animals with the aim of developing effective strategies to control animal and zoonotic diseases. Scientists at The Roslin Institute are studying endemic diseases that exert a significant burden in ruminants, pigs, poultry and fish, as well as zoonotic diseases and foodborne pathogens in their reservoir hosts. They seek to identify host and pathogen factors that influence the outcome of infection and devise effective ways to control it. The facilities and expertise associated with this programme will have a crucial role in alleviating the impact of diseases constraining prosperity in low- and middle-income countries and which pose a threat of incursion to the UK, as well as in addressing the global hallenge of antimicrobial resistance. This programme of research will investigate the role of genetic, environmental and dietary factors on production-relevant traits with the aim of improving the performance, sustainability and welfare of farmed animals. By analysing the genetic make-up of animals in populations (genotypes), their characteristics (phenotypes) and using computational tools to link them, researchers at The Roslin Institute are at the forefront of a farm animal genome revolution that will improve the precision of breeding and deliver further gains in productivity both in the UK and low- and middle income countries. Animal behaviour studies that examine the impact of stress, season, husbandry and other factors on the welfare and performance of animals and their offspring have the potential to enhance the lives of managed animals and address societal concerns related to the welfare of intensively-reared livestock.